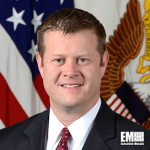 Ryan McCarthy, acting secretary of the U.S. Army, has said the military service will establish a command of cross-functional teams by summer 2018 to support modernization efforts across the branch. Each CFT under the “modernization command” will aim to increase the quality and process of fielding materials and equipment to warfighters, the branch said Friday. The group will report to the Army undersecretary and vice chief of staff. McCarthy noted that CFTs will also seek input from commercial and academic organizations on how to accelerate the technology development process. The Army aims to modernize its operations through “centralized planning” and “decentralized execution” strategies that are based on doctrine, metrics, research, warfighter tests and feedback, leader insight and acquisition process.